Etiquette books talk about how to be a perfect guest. But Bramwell Tovey could write one on how to be the perfect guest conductor. He isn't afraid to program crowd pleasers, but does them on a level that has won him a Grammy Award. He's not only up for conducting Christmas concerts - not typical for someone of his stature - but for his forthcoming one with The Philadelphia Orchestra, he has actually written a Christmas carol. Or, as he told the Philadelphia Inquirer's David Patrick Stearns, he's still writing it. The words are still in progress, but the tune is definitely there, including a foray into - minor, just to make sure it doesn't get too nice for Philadelphia. 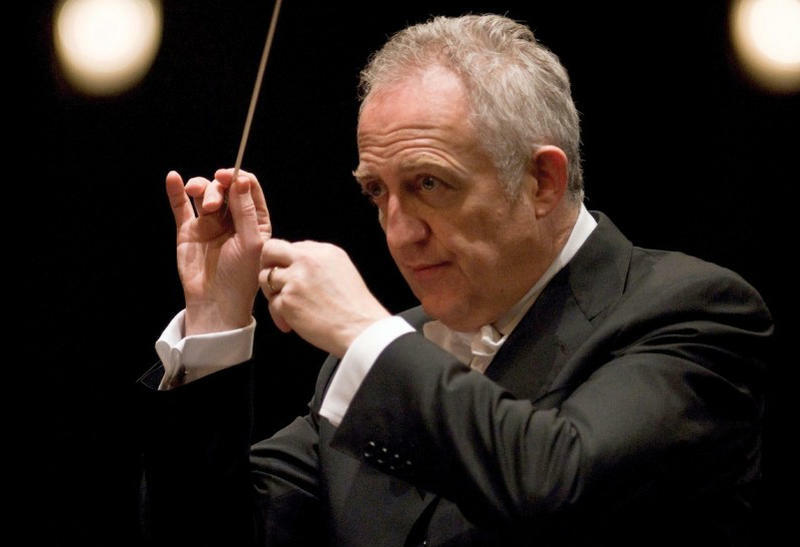 Bramwell Tovey: It's just a simple little thing, and I called it the Rittenhouse Carol. I was walking around looking at the shops. It's just a little bit of fun. And it's so flattering that one of Canada's best conductors would go to the trouble. Maybe not since Eugene Ormandy orchestrated "The Star Spangled Banner" has there been anything quite so personal to come from a conductor. Though he's music director of the Vancouver Symphony, he's also a part-time composer. And in all aspects of his life, believes in what he calls mucking in. BT: There's something about seeing the conductor in the trenches that helps morale and helps communication with the public. It helps bring everybody closer to the music. And few conductors have such witty stage patter. BT: If you have someone over to dinner, you try to make them relax and laugh. In the summer months, people try new things in the open air. There's always a portion of people who have never heard an orchestra before...why not make them feel at home? Tovey comes to his profession form a singular background: his parents and grandparents ran a Salvation Army outpost in East London, a rather Dickensian situation that gave him an appreciation for brass bands - which he conducts to this day - and an ability to handle anything that comes his way. BT: I played by ear accompanying various preachers. You had to find the key and catch the song. That's how I played by ear. Such a pious background doesn't mean there's any lack of emotional inhibitions in his work. In fact, that's the recording of the Barber Violin Concerto that won him and violinist James Ehnes a Grammy Award. One of the keys to his success is knowing that music that sounds effortlessly gorgeous and winning to the naked ear requires more work than the weightier works by Beethoven. BT: It's twice as difficult. Very tricky. But I would never want to be in an ivory tower wanting 15 rehearsals for Mozart. That would be so boring. And when Tovey conducts lighter works, they don't seem so light. The problem with being such a perfect guest is that when it's time for him to move on, to go back to his home orchestra in in Vancouver, you don't want him to leave.